Bus route information was delivered! Families relying on district transportation this year should have received an email on Tuesday with details regarding your child's bus route. If you didn't receive the email, please contact our Transportation Department at 651.351.8377 or schoolbus@stillwaterschools.org. Green Rooms are being created in all of our elementary school buildings to provide students with a safe place to go when they are feeling anxious or struggling to manage their behaviors. The rooms are staffed by paras specially trained in de-escalation and behavior management. This is just one of many initiatives in place in our schools to address the social and emotional needs of our students. Watch for more information to be shared in future e-newsletters. Nearly 100 families received free school supplies this week during our first-ever Free School Supply Shop. Demand far exceeded our expectations and supplies ran out in less than an hours time. We're working with Community Thread and the United Way of Washington County - East to restock our shelves. 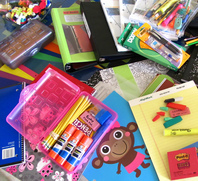 If you are in need of school supplies, please contact your school's secretary to arrange a time to stock up. Visit schoolcafe.com or download the app on your phone. Create an account and add your student(s) using their district student ID information. Payments for meals will continue to be made through FeePay. The school board will hold a closed session to discuss property identified as Marine Elementary School. The closed session will begin at the end of the regular business meeting Thursday, August 23 at Stillwater City Hall. See the official meeting notice. Check out school calendars for dates of Back to School open houses, registration days and more.